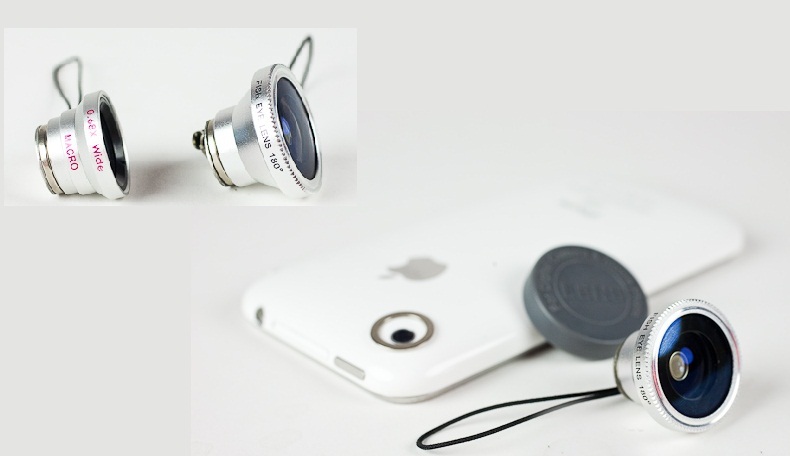 I just found the most amazing thing ever, mini lenses for my camera phone. Sold at Photojojo.com for combo price of $40. There are different lenses in the combo package (sold separately too), fisheye, wide and macro angle. The picture quality of these lenses seem to be very good and it’s the easiest thing to attach and detach them. With your lenses you will receive a magnetic sticker that goes around you camera’s lens and you can just attach and detach the lens with that magnet. How cool is that! I’m addicted to take pictures with my phone, so this is a gift from god for me. Maybe I’ll treat myself and my BlackBerry Storm 2 and get these lenses! Great post as for me. I’d like to read a bit more concerning this topic. The only thing this blog misses is some pictures of some gadgets.